If you joined LinkedIn and filled out your profile thinking it was essentially an online resume, you're probably missing out on a world of opportunity. And no, we're not just talking about finding a new job. Sure, LinkedIn's profile features are essentially the same questions you'd answer on a resume. But there are more than 150 million people there who are ready to do business. It is, after all, the professional social network. One of the easiest ways to use LinkedIn is to create thought leadership content in your areas of expertise. Not only can you share interesting content from your own blog or website as status updates on LinkedIn, you also can dive into LinkedIn Answers and leverage LinkedIn Groups. LinkedIn Answers operates like any Q&A site. You browse through to a category of your choice where you either post a question for those following that topic or answer queries from others. Providing a helpful answer can not only make you seem like an authority but might also lead the asker to rate your response as the best. If you collect a few "Best Answers," those indications show up on your profile. By joining Groups related to your areas of expertise and starting or participating in discussions, you also can soft sell yourself to a new audience of colleagues and prospects. Over time with both LinkedIn Answers and Groups, other users will be curious about who you are, click through to your profile and ask to connect with you -- and hopefully to do business. The second-most popular Internet activity behind checking email is search, according to the Pew Internet & American Life Project. LinkedIn is no exception and its search function can benefit you if your profile is optimized for search. Try to think like someone who may want to hire you or do business with you. If you're a sales manager for an industrial lubricants business, for example, you might consider using the headline "Industrial Lubricants Expert" rather than "Sales Manager" if you hope to attract marketing prospects. In short, cleanse your profile of descriptions of simply who you are and replace them with explanations of what you do. 3. Flip the search coin in your favor. You should also be using LinkedIn to scout for prospects. For instance, if you typically sell to procurement officers or chief financial officers in the construction industry, click through to LinkedIn's Advanced Search. Enter the keywords "procurement" or "CFO," then add filters for the construction industry. By doing so, you should have a search result showing only your prospects. 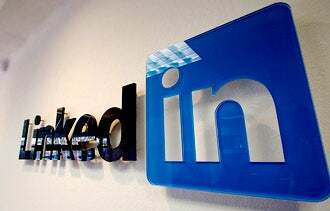 If you have a premium LinkedIn Account ($24.95 per month), you can save your search and it will be updated automatically when new people join LinkedIn that fit your criteria. That's like having a lead generation engine at your fingertips. 4. Try LinkedIn's light CRM. Another premium feature is LinkedIn's profile organizer. This can allow you to save a particular prospect's profile so you can find it easily. As you reach out to that person, you can keep notes about your contacts with him or her. The notes will appear whenever you revisit the profile. While this isn't robust customer relationship management software, it can help save time and keep you organized. Keep in mind that contacting LinkedIn users you don't already know can be tricky -- especially if you don't want to come across as a spammer. You get three free "In Mail" credits per month with a basic account and more if you upgrade to a premium account. You usually can email fellow members of LinkedIn groups even if you're not connected to them directly. So if you find someone you wish to contact, check the person's profile to see which groups he or she belongs to and join one or two yourself. LinkedIn advises you to connect only to people you know. That means you probably don't want to shift into full cold-call sales mode. But expanding your network, making your expertise available to others and prospecting in a low-key way can make LinkedIn a valuable marketing tool.